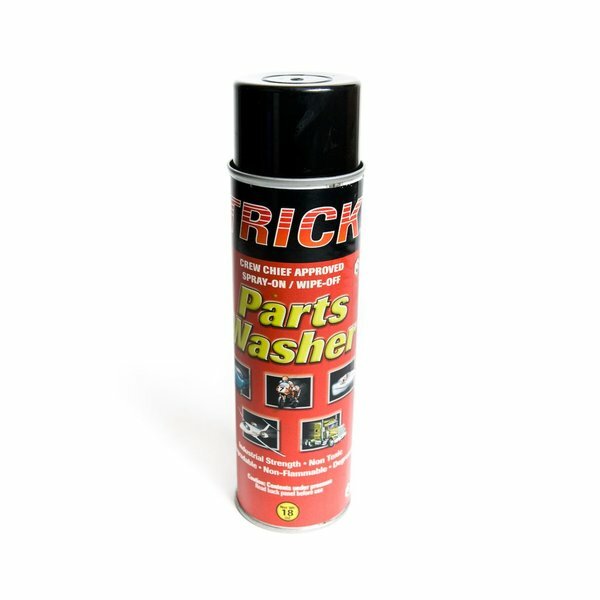 Aerosol Parts Washer - from Trick's original Chemical Division - is a powerful, industrial strength, water-based, non-toxic, biodegradable, multi-purpose cleaner/degreaser that quickly and safely penetrates and dissolves grease, grime, oil and dirt. Trick's formula cleans just as effectively as petroleum-based solvents but with no dangerous fumes or disposal problems to worry about. CANNOT SHIP VIA AIR OR USPS, MUST SHIP UPS OR FEDEX GROUND!